Planning any kind of trip can be time-intensive but planning for an extended family group to travel overseas to take a Disney Cruise is almost a full-time job, it seems. There are so many logistical and financial aspects to think about, it almost makes your head spin. But never fear, I’m about to embark on my fifth overseas cruise, and I’ve got a lot of tips for you to make your trip easier. Yes, you should make your cruise reservations as soon as possible if going on specific dates is at all important to you. If you have kids in school or a job that limits your vacation time, then the cheapest time to book is when an itinerary is first announced (for the European and Alaskan itineraries, that can be more than a year out). Cabins will get progressively more expensive as time goes on because cheaper categories will get booked up. Cruise pricing is also dynamic and fluctuates with supply and demand. For example, about a year ago, within days of booking a cabin on the Western Mediterranean cruise that we’re about to embark on, I decided to add a cabin so I could bring my mom along. In just those few days, the price went up considerably, and we ended up booking her an inside cabin for the same price our outside cabin was just a couple of days earlier! 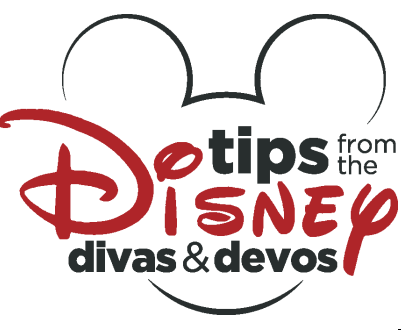 Tip: If you’re more flexible, then you can haunt DCL’s special offers page. But these specials are (generally) only available after the paid in full date for the cruise, so they tend to be very last minute. The best rates are usually available to Florida residents and military service members, although I have also seen Canadian citizen and European Economic Area offers; if you don’t fall into one of those categories, it is much less likely that you will find a discount. Once you have your cruise booked, it’s time to either apply for a passport or check the expiration date on your existing one. Disney Cruise Line notes that all air passengers traveling entering or re-entering the United States by air must have a valid passport. Depending on your nationality, some countries also require a visa. US citizens can check whether a visa is required for them to travel to other countries by looking on the Department of State’s website. Tip: Having Global Entry can make passing through US Customs a breeze. However, there’s an expensive and lengthy application process involved. Getting the CBP authorized Mobile Passport app can be quicker and it’s free to download and use. I have Global Entry, but my family doesn’t; I have read such glowing reviews of the mobile app that I’m trying it out on my upcoming trip. Give yourself plenty of time to get or renew your passport, and make sure you check the dates on your child’s passport as passports for children under 16 are only good for 5 years (versus 10 years for those over 16). Most countries also require that you have at least 6 months left on your passport in order to enter. I have seen articles that claim the best time to buy airfare is between 3 weeks and four months before your trip. This is when most airfares go on sale, but if you wait too long (less than three weeks before the trip), you will see a sharp rise in airfares. I usually err on the side of caution – if there’s a particular flight we need to catch because, say, it’s the only one that has good connections or arrives at the time we need, then I won’t wait too long. I would rather pay $50 more for the flight that I want rather than settle for a much less convenient option just because it’s a few dollars cheaper. Tip: Check and see whether your credit card offers perks like free rental car insurance, travel insurance, or even free use of airport lounges. Credit cards are increasingly offering travelers benefits like these. Some people claim that there are certain days of the week to buy your tickets, I haven’t seen that; it’s more like there are certain days of the week when it’s cheaper to fly (generally mid-week). I generally try to get to the cruise port at least one day prior to embarkation. I don’t want to risk missing the boat, and there are so many things that can go wrong if you cut it too close, including transit strikes, weather delays, and cancelled flights. Whenever I’m planning a costly trip, I always purchase travel insurance. This is especially true whenever it comes to cruising. It’s not just that cruises are expensive, which they are. It’s that cruises also have an increased potential for mishaps that could be ruinously expensive. Let’s say you get sick while on board. While there is medical attention available on the ship, it’s costly and they don’t accept health insurance plans. Fees incurred will be posted to your stateroom account. 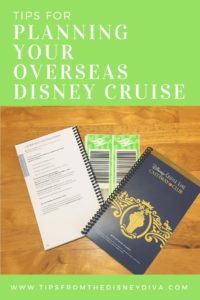 You can try and file with your insurance later, but Disney warns that services are considered as “care outside the United States” so they may not be covered by your insurer. Tip: Check with your health insurance plan before traveling overseas to see whether you are covered. If you purchase travel insurance within 30 days of first putting a deposit on your trip, pre-existing conditions may be covered. I’m fortunate in that my health insurance plan does cover me overseas. However, I have personally witnessed three separate occasions when guests have unfortunately had to be medevaced from the ship. 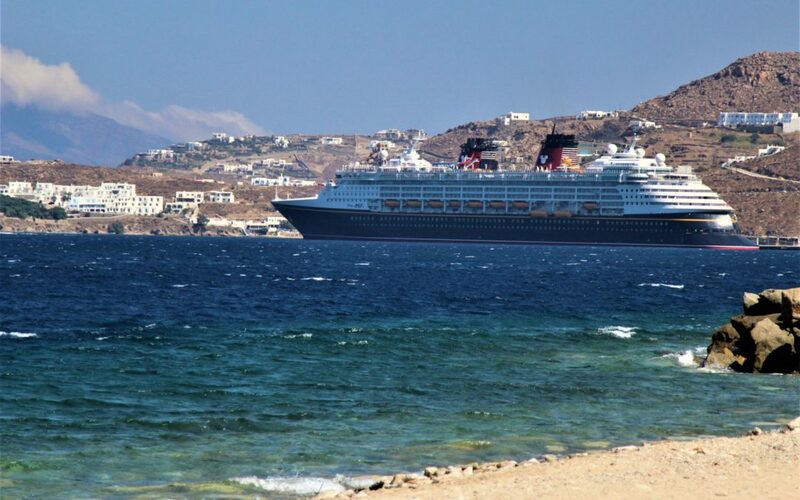 It is highly unlikely that would be covered by medical insurance, and the costs could run into the tens of thousands (and that’s just the medevac portion, not counting missing the rest of the cruise, flights home and many other associated costs). So while it may hurt a bit to pay a couple extra hundred dollars for additional insurance, it can turn out to be a very wise investment. Disney offers its own insurance, but it’s fairly limited. It’s a better idea to shop around for insurance on comparison sites like Insure My Trip. In Part 2, I’ll share tips for getting money and staying connected while traveling overseas. The most valuable tip I can give you is to use a travel agent to help you plan your trip. Contact Patricia at All for Dreams travel for FREE help booking Disney cruises and vacations.